It’s time to top up that tackle box and cast your way into 2019. Yup, the new year brings a fresh new take on fishing trends – trends that you might want in on! Just like most sports, the art of fishing is constantly evolving and there’s always a new gadget on the shelves or new techniques to learn and adjust to. Whether you are an avid fisherman who enjoys the competitive side of the sport or just someone who appreciates the laid-back relaxation and thrill that comes with a strike, we are sure that these new fishing trends will appeal to you. While this might not appeal to those who enjoy a less smelly sport, seasoned anglers will be thrilled to know that their fishing lures, bait, and boilies are just a spray away from inviting in more nibbles and securing that hook. While additive sprays are definitely not new to the market, their popularity is only increasing as more specified scents and sprays are becoming a hit. 2019 will see an influx of these luring sprays on shelves which is great for fishermen who know that smellier bait makes the bite all the more tempting. Fish bait additives to look out for include synthetic flavors, natural extracts, enhancers, and oils. Each of these products uses a combination of scent and smell to attract the fish you are after and make the bait you are using all the more scrumptious…for the fish, of course. OK, creative lure designs are no modern intervention but we cannot deny that with new technology and recent research that lures and fishing bobbers are taking on a more alluring shape now more than ever before. From floats that imitate Disney characters to crankbait that looks and moves like the real deal, hooking in the catch of the day is pretty much in the cards for 2019. Stick baits will remain an all-time favorite as the hard-plastic lures continue to live up to their popularity for being the most reliable and dependable bait for saltwater fishing. One thing that failed to meet expectations over the passing years are trebles, which are now being replaced more favorably by inline single hooks. Inline hooks are appreciated for their super-sharp hookset and the design as a whole keeps your catch hooked more effectively – it’s also much easier to unhook. 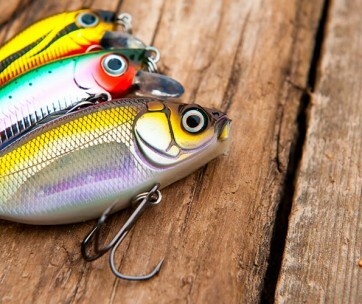 Add these lures to your tackle box together with a novelty bobber or two, and you’re good to go! Gifting fishing enthusiasts has never been easier. Forget about pimping your ride. Now you can customise and personalise almost every piece of fishing gear and apparel on the market. We have Japan to thank for this trend which is making the sport a tad more exciting in that anglers can now tweak their gear to feel more like their very own. From engraved fishing pliers to branded rods, you now have even more choice than ever when it comes to gearing up for your fishing adventures. While some might deem this trend too flamboyant for such a modest sport, others are reeling (no pun intended) at the thought of “pimping” up their gear and apparel. In fact, reels are currently the most commonly customised piece of fishing gear and this fascination, or new hobby if you must, will only become more appealing as the new year sets in. Whether it’s replacing the spools on your reel for a more modern skeletonized version or perhaps adding a touch of color with vibrant knobs and handles, fishermen now have more options available when it comes to both looking good and performing well out on the water. Talking about looking good, it seems like fishing apparel will be leading some of the fashion trends for the year ahead. According to Vogue magazine, utility gear like fishing vests complemented with ye old fishing hats is what will give you the fashionista thumbs up this summer. It’s suggested that the rugged “gone-fishing” vibe is what makes these garments a hit on the current catwalk. But let’s face it, when you’re out on the water and in for the catch, you probably couldn’t give two hoots on whether your fishing shirts have made Vogue’s list of approval or not. It’s the convenience of the clothing you’re after as well as their befitting way of peaking your performance. So, you’ll be glad to know that 2019 plans on bringing new innovation to fisherman’s wear. From UV protection sunglasses for fishing that have specifically been designed for when you are in close proximity to water to bibs and waders that have been designed using new and improved materials, your fishing experience is definitely about to become next level! To a fisherman, a tackle box is a treasure chest filled with shiny bits and bobs that make their favourite sport all the more interesting and invigorating. From novelty floats to lures and tools of the trade, a tackle box, if well-equipped, opens up a world of opportunities and makes “the game” all the more enticing. While every box will have your basics, GudGear, an online travel magazine, recommends that you include the following ever so trendy items for the fishing season ahead: PiscifunAluminum Fishing Pliers, Ultrathon Insect Repellent Lotion, Piscifun’s portable fish lip grabber and scale, and last but not least, M2 Basics First Aid Kit that comes complete with everything you will need for a minor medical emergency. As fishing evolves, so to will the stock in your gearbox. No need to cast your fishing nets far from home with this one. For those who don’t feel like stepping into their fishing shoes and heading outdoors, don’t fret, you can still get your fishing fix during 2019 when fishing simulation games become more advanced than ever before. 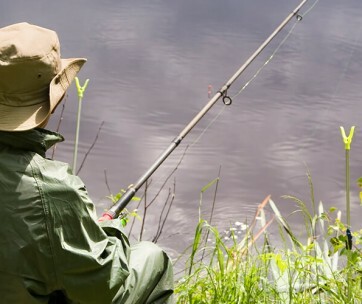 Whilst some might consider you more of a gamer than a fisherman for taking the sport indoors, you can argue that these very realistic gaming sessions are there to help you broaden your skills and knowledge as you select the correct lures and baits to attract the fish species you’re tempted to catch. Ultimate Fishing Simulator by PlayWayis about to make its debut come 2019 and according to Kickstarter, you can expect photo-realistic graphics, complex fish AI, and a whole lot more! If you have the urge to catch dozens of fish species in real locations all over the world, all from the comfort of your cosy chair might we add, then you might just want to give this crazy realistic game a go! Yes, there is such a thing. These days sports are all about accessorizing and fishing has definitely not been left out of the equation. A fishing watch is an angler’s best friend. Most of them come with astounding features like GPS tracking systems, built-in thermostats, a compass, barometers and even moon phase calendars. Of course, the devices are water resistant and for the most part, they boast rugged designs that ooze masculinity and compliment a love for the great outdoors. It’s safe to say that if you do not find yourself with a fisherman’s watch attached to your wrist, well, then you simply aren’t the trendy fisherman you thought you were. All jokes aside, however, apart from looking good, these watches that have specifically designed for anglers and hunters are extremely useful and if you call yourself a serious fisherman, we encourage you to indulge yourself with one! There’s no denying the fact that technology has wrangled its way into the world of fishing and the year 2019 will be a prime example of just how advanced this technology can get. From custom gear to simulation games and computerised fishing watches, you might be asking yourself “what’s next”? We have the answer. 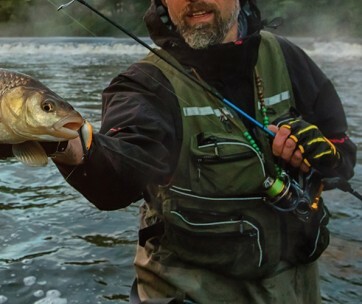 There’s an app for everything and you guessed it, 2019 will coddle us with a huge selection of fishing apps that will mix technology with a sport that runs on the appreciation for the outdoors. OK, so there is a little bit of irony in that many fishermen will argue that one of the greatest things about fishing is that you escape the digital world whilst you enjoy your very real surroundings. Butfor those that take up the sport for more than relaxation purposes, these modern apps can come in extremely useful – just saying. With these apps, you can have quick and immediate access to local catch data, weather forecasts, info on where you can get a good catch as well as the opportunity to log and track your progress. Sounds like fun! 2019’s Fishing Trends That Are Set To Reel You In! – The Insurance Emporium.